The president of Pridnestrovie, Igor Smirnov, is a trade union organizer and former political prisoner. Although the governing party suffered a defeat in the country's most recent Parliamentary elections, Smirnov's personal popularity remains high. Igor Nikolayevich Smirnov was born on the 23 October 1941, the son of a schoolteacher from Russia. When Igor was just ten, his father - Nikolai Stepanovich - was arrested and given a 15 year sentence in hard labor camp for unspecified "anti-Soviet activities". For nearly thirty years, Igor Smirnov was a welder and a press operator in a factory. There, just like Brazil's Luis Ignacio "Lula" da Silva, another welder-turned-president, he cut his first political teeth as a trade union organizer. Inspired by the style of Lech Walesa, the leader of Poland's Solidarity trade union, Smirnov used the power of the trade unions to bring political change not just to the factory but to society as a whole. Just two years older than Lech Walesa, Igor Smirnov, too, went on to lead an independence movement which brought his country to freedom during the Glasnost-days of the late Soviet Union. 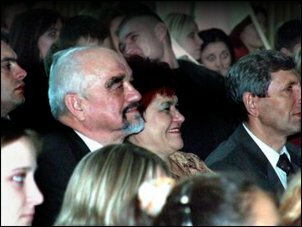 In 1987, Igor Smirnov was elected head of "Electromash", a machine-building plant in Tiraspol, today the capital of Pridnestrovie. There, he organized strikes for the self-determination of Pridnestrovie and got workers of other factories to join him. Never a professional politician, Smirnov's trade union members urged him to stand in a local Tiraspol election in February, 1990. This was his first time ever as a candidate. In a dramatic demonstration of how much the Communist Party’s power had waned, Smirnov beat his official challenger, the First Secretary of the city’s Central Party Committee, Leonid Tsurkan, by a 2-to-1 margin. As a grassroots politician and trade union leader, Smirnov defended the ethnic Russian minorities against attacks and demonstrations by the neo-fascist Popular Front movement which wanted reunification with Romania and used the slogan "Suitcase - Trainstation - Russia" which was meant to signify that one way or the other, Russian-speakers must leave: Either voluntarily, first, or else through forced deportations. However, ethnic Russian-speakers in Dniester River region were not prepared to pack up and leave the place where most of them had been born and raised their children and grandchildren; nor were they prepared to join a Moldovan country which historically never had a claim on this land. Pridnestrovie declared independence on 2 September 1990, with Igor Smirnov active in the self-determination movement from the very beginning. Less than a year later, on a visit abroad on 29 August 1991, Igor Smirnov was arrested by the secret service of Moldova and taken to solitary confinement in Chisinau. During his time as a political prisoner, Igor Smirnov started writing a book entitled "To Live in Our Land". Later finished and published, it gained the international literary Sholohov prize in 2001. Meanwhile, grassroot groups brought people together to organize a nonviolent protest against the imprisonment of Igor Smirnov by the authorities in Chisinau. Young Galina Andreeva and a group of women blocked the country's main railroad, and stopped the trains on the routes Chisinau-Tiraspol-Odessa and Chisinau-Tiraspol-Moscow. At the beginning there were 10, after that 20, 100, then a thousand. Day and night, they sat down on the railroad tracks and protested. This peaceful protest led to the freedom of Moldova's first political prisoner, Igor Smirnov, and his triumphant return to Pridnestrovie. 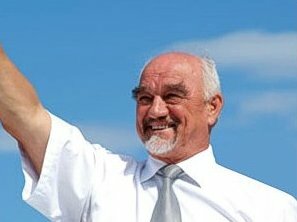 Igor Smirnov was elected President of Pridnestrovskaia Moldavskaia Respublica in 1991 and re-elected by the voters three times (in 1996, 2001 and 2006). In the most recent Presidential election, voter turnout was 66.1 percent. Igor Smirnov, standing against three opposition candidates, took 82.4 percent of the vote. However, even though the personal popularity of the president is high, the main governing party, Respublica, suffered a defeat in the most recent parliamentary elections when they lost to opposition party Renewal. The party and its allies took 29 seats in the 43-member Parliament against Respublica which only managed to hold on to 13 seats (one more seat went to an independent). Igor Smirnov is married and has two sons. His sons, Vladimir and Oleg, have repeatedly been accused by Moldovan state propaganda of being involved in everything from drugs trafficking to weapons smuggling and running the nation's largest companies as well as the government's customs organization mafia-style. There is no basis to these accusations. Sometimes they are rehashed by writers who are unfamiliar with Pridnestrovie and repeat ill-intentioned hearsay rather than facts. But these sensationalist claims are "urban myths" from Tiraspol that only persist because readers know even less about Pridnestrovie than the writers who peddle these stories. Vladimir, the oldest son, is married to Helen, a local girl from Tiraspol, PMR. Oleg, the youngest, is married to Ina, also a local Tiraspol-girl. Between them, they've given Pridnestrovie's current president a total of four grandkids. In his private moments, Igor Smirnov likes jazz.